In the United States, almost 15 million adults suffer from some major depressive disorder. These adults account for approximately 7% of the population. This type of a problem can occur at any age and is more likely to occur in women than men. There are treatments for those who are depressed, but is Nuedexta one that can help an individual dealing with clinical depression? Nuedexta is a medication that is typically prescribed for a disorder known as the pseudobulbar affect (PSA). It occurs for various reasons that are associated with the brain. For example, individuals who have multiple sclerosis, suffer from a stroke or ALS may also experience pseudobulbar affect. There have been some reported cases of Nuedexta being prescribed to treat depression as well. Pseudobulbar Affect results in symptoms that include uncontrollable outbursts of laughing or crying when an individual suffers from a neurological condition or a brain injury. It is not a new condition, but it has been described in medical literature for more than 130 years. It is more commonly a problem when brain injuries or neurological diseases affect an area of the brain that controls emotion or expression. For reasons that are not understood, the condition could trigger those uncontrolled laughing or crying episodes. PSA is sometimes mistaken for depression, although they are two separate issues. It is noteworthy, however, that many individuals have both PSA and depression. Depression is an ongoing problem that may last for months, but episodes of PSA are typically spontaneous and may not be associated with what an individual is feeling inside. The two ingredients found in Nuedexta are dextromethorphan and quinidine. It is not clear how the combination of medications in Nuedexta work to treat this problem. It is known that Dextromethorphan operates in the brain and that Quinidine is used along with that drug to increase its effect. When a doctor prescribes Nuedexta for PSA, it may be possible that the individual who is suffering from the condition is also suffering from depression as well. As a result, they may feel that the medication is being prescribed to treat their depression when in fact, it is being used to treat PSA. 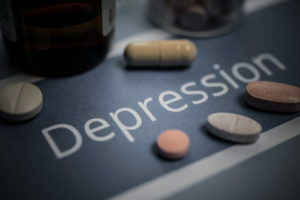 The doctor may not have addressed the issue of the depression to the extent where he has prescribed medication for it. That being said, there are also some doctors who have reportedly prescribed Nuedexta for individuals who suffer from depression. The results of those who use the medication may vary, but there are some reports that it has worked well for some people who may have tried other depression medication, such as Cymbalta or Abilify unsuccessfully. 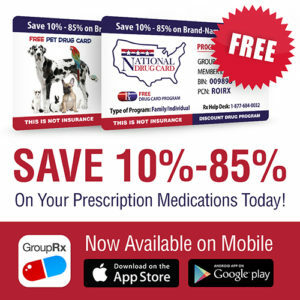 Regardless of whether your doctor is prescribing Nuedexta for the treatment of PBA or depression, it is important to discuss the use of the medication with your doctor in detail. The need for this discussion is especially true when describing your medical history or any other medications that you may currently be using. In that way, your physician may be able to rule out the possibility of interactions or other issues. Side effects may also occur when you use Nuedexta, although they do not occur in all people who use it. Those side effects can include dizziness, diarrhea, vomiting, weakness, coughing, swelling of the extremities and drowsiness. Any persistent or severe side effects from any medication should be reported to your doctor immediately. Depression is a treatable condition, and it is one that can be discussed with your physician to find a solution to the problem. Regardless of whether this drug is considered or another medication, your doctor may be able to help you to find one that works right for you.